She was built in Glasgow and launched in January, 1910. She measured over 108m in length and had a displacement of almost 4,000 tons. She was capable of reaching speeds of up to 10 knots, thanks to her triple-expansion engines. After having been sold to the Moller line in March, 1931, her name was changed to "Rosalie Moller" and her routes from the European coastal waters to routes between Shanghai and Tsingtao. By the late 1930s the war was inevitable. 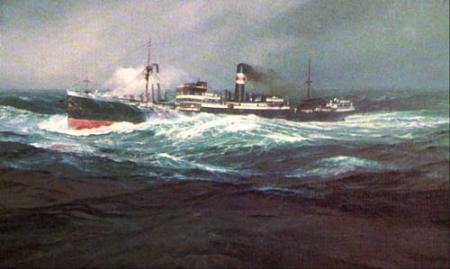 British ship owners faced the possibility of either continuing the operations of their vessels and possibly experience serious financial losses if their vessels were to become casualties of war, which was not covered by most insurance companies, or recalling their vessels back to England to aid the war effort. The Rosalie Moller returned to Liverpool by 1940 and was transporting Welsh coal to various Royal Navy ports in England and sometimes as far as Gibraltar. The Royal Navy’s “Force K” was operating out of Malta under constant siege by the Axis Forces, making it impossible for merchant ships to get anywhere close to the shores without being attacked and destroyed. Therefore the Navy needed re-fuelling facilities in Gibraltar and in Alexandria. Rosalie Moller’s next and final assignment was to deliver over 4,500 tons of coal to Alexandria. Because the Mediterranean was a hot bed for active war fighting, she was to sail around Africa and up the east coast. She got her orders in July, 1941 and by mid-September she was travelling up the Red Sea. When reaching the Gulf of Suez, she was assigned “Safe Anchorage H” to await further instructions. The anchor was dropped, the engines were shut off and the wait began. There was a collision of vessels in the Suez Bay which blocked the entrance to the canal. The Thistlegorm was unable to enter the canal because of the same reason before being destroyed on October 6, 1941. On October 7, 1941 two more twin-engine Heinkels returned to continue to bombard the vessels anchored in the gulf. The captain and the crew awoke to the loud engine noise of the planes. The aircrafts descended for a low-level attack and dropped their bombs. Two bombs were dropped, one striking the number 3 hold. The Rosalie Moller sank on October 8, 1941 at 01:40 with two of her crew missing. 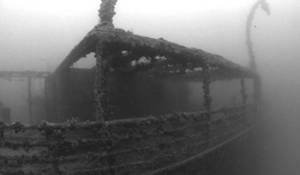 The wreck lies in an upright position on an even keel on the seabed. The bows are at 39m and the starboard anchor is deployed. Most of the wreck is in very good condition, many of her parts still remaining undamaged. On the upper deck the winches and the winch houses are all intact. The cargo hatches are gone but the cargo of coal still lies in the holds. The galley also managed to stay quite intact with pots and pans still hanging above a large stove. The wooden decks have rotted away but the port holes and the glass in them are all undamaged. The funnel is still standing, leaning a tad and on the leading side there is a small ladder leading up to the copper steam whistle. The front and rear masts are still in place. The steering gear can be investigated along with the rudder which is at 45m. One of the four propeller blades is missing. There is damage to the rear quarters but the actual damage caused by the bombs that sank the ship is hardly visible. 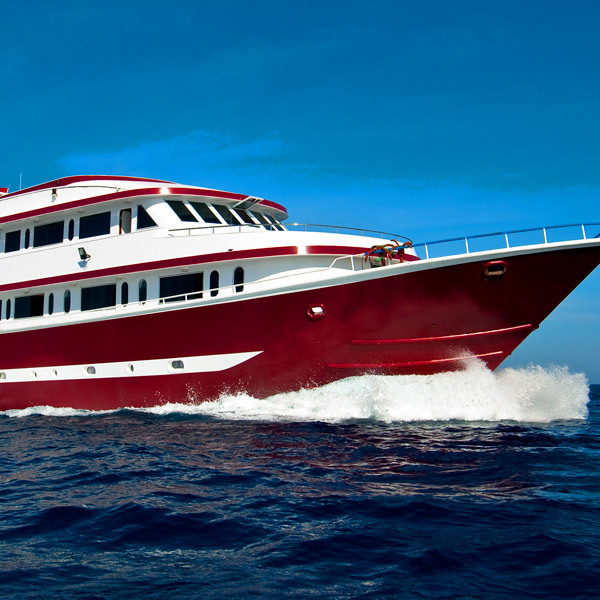 Visibility is not as clear as in other parts of the Red Sea but the wreck teems with abundant fish and coral life. 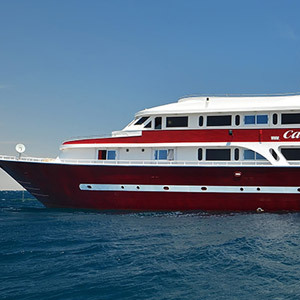 Corals cover the decks and railings and jackfish and tuna can be seen feeding in the morning hours.